Play it right and travel can be a fun, life-changing, reaffirming experience. But it’s not always about having a relaxing trip. Really getting stuck into a destination, being sucked in by its immense culture, paying respects to its history and generally giving something back to the community is often equally as important. And with so-called ‘dark tourism’ on the rise, now has never been a better time to get under the skin of a destination and – following times of disaster – identify with the people who live there. It may feel insensitive at times but, more often than not, countries affected by tragedy are desperate for tourism so they find the funds to rebuild and recover. 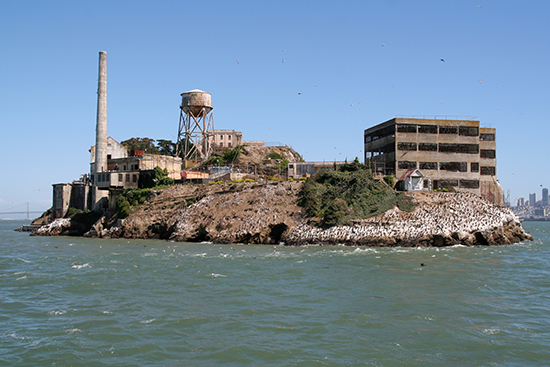 Flung off the San Francisco Bay, Alcatraz has long been one of the city’s top tourist attractions. But why are people so desperate to visit a now defunct prison? Well this one has a bit of a dark past. Some of the USA’s most infamous criminals – from Al Capone to George ‘Machine-Gun’ Kelly – served stints here, but not all of the 1,576 people incarcerated were well-known gangsters. In fact most of the inmates escaped the limelight. That doesn’t mean they weren’t scary though. Alcatraz was the prison of prisons. It’s where prisoners who were considered extremely violent or dangerous, or those who couldn’t follow the rules in other prisons, were sent. Basically, it was the last resort. Think about that while you’re doing your audio tour. Intrepid travellers flock to Cambodia to be wowed by the majesty of Angkor Wat – one of the largest religious monuments in the world. And while its UNESCO-listed temples should not be missed, look beyond them and you’ll discover a country and a people still recovering from the misery inflicted by the Khmer Rouge regime just 40 years ago. 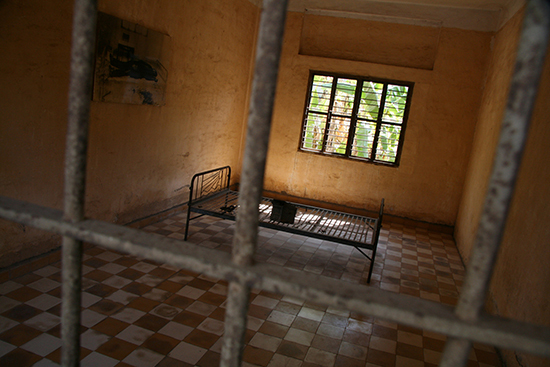 At the Tuol Svay Prey High School and in the killing fields of Choeung Ek, the scars still remain. But don’t let that stop you visiting – these places are still a crucial part of Cambodia’s history and have helped shape it into the country it is today. 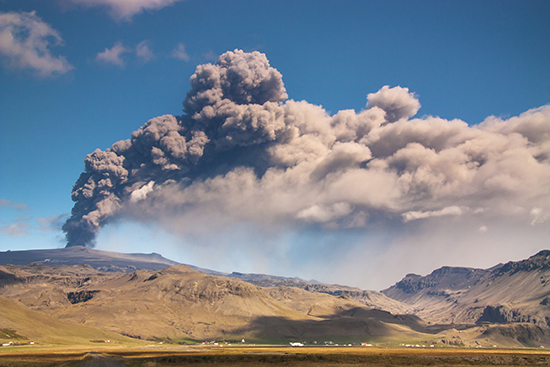 The eruption of Eyjafjallajökull – the volcano that no one outside of Iceland had ever heard of, let alone could pronounce until five years ago – wrought havoc in April 2010. For those of you that don’t remember, the volcano’s dreaded ash cloud grounded flights for over two weeks, costing the European economy around US$5 billion. Good news for the Land of Fire and Ice though – tourism has snowballed since. Visitors who hadn’t even considering Iceland before are now flocking over to the chilly island-nation to see its geysers, glacial lagoons, the Northern Lights or the midnight sun and, of course, the south-coast volcano that caused all the drama. Utter the word Hiroshima and it’s often the cataclysmic World War II bombing that springs to mind. On 6th August 1945, nuclear ‘Little Boy’ was dropped on the city, immediately killing 80,000 people. Tens of thousands more died as a result of injury and radiation poisoning. It was a catastrophic tragedy that also saw 70% of Hiroshima’s buildings destroyed and the city's confidence decimated. But four years later Hiroshima's citizenship had grown strong again, and plans for the Hiroshima Peace Memorial Park were drawn up, incorporating the iconic Peace Pagoda and the skeletal remains of the A-Bomb Dome. Most people visit the park to not only pay homage to the victims of the attack, but also to remind them of the horror that nuclear war causes. 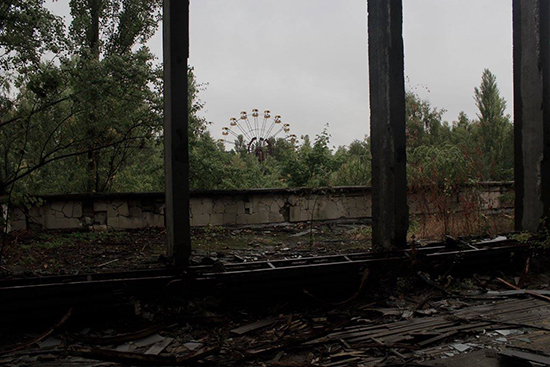 Importantly, it offers a stark lesson on the importance of world peace and, in that respect, is one of the most pivotal dark tourism sites in the world. 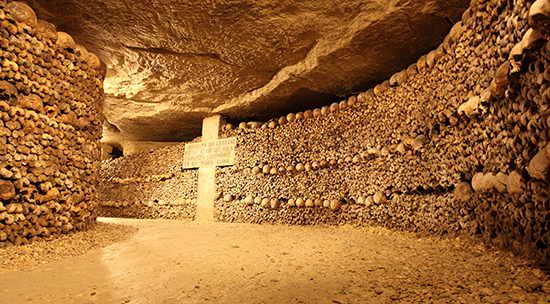 It doesn’t get much darker than the Parisian Catacombs – a maze of skeletons beneath the streets of this otherwise romantic city. The remains of nearly six million people are buried in this labyrinth, making it the world’s largest grave and some would argue one of the scariest places on the planet. It’s a haven for the lovers of the macabre and history buffs, who can experience more than 2,000 years of history in one place. Halloween revellers head here in their droves on 31st October too, and you can even pay to spend the night there. Indeed, it’s so popular that this year, Airbnb paid the princely sum of €350,000 to privatise the tunnels for the night, allowing dark tourism aficionados to enjoy a concert, dinner and an overnight stay. We’re not sure how much sleep they’ll get though. 9/11 is arguably the most notable terrorist attack of the 21st century. 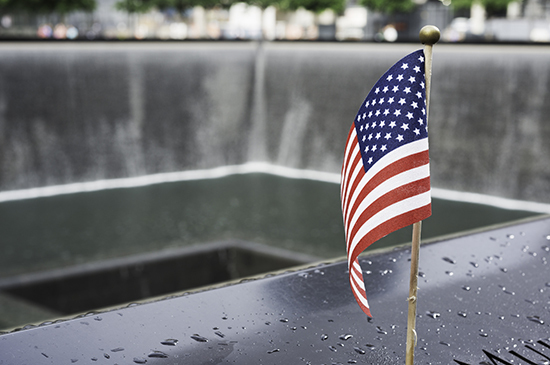 The assault on the World Trade Center buildings not only caused irreparable damage – on and beneath the surface – to New York City, the US, and the world, but they also signalled significant changes in foreign policy and focus. Security was tightened and, for months after the attack on the Twin Towers, tourism diminished greatly. But now, 14 years on, Manhattan is calling for people to visit Ground Zero. Today a new World Trade Center building – initially dubbed the Freedom Tower – stands at the site, the tallest skyscraper in the Western Hemisphere, along with the National September 11 Memorial & Museum. It is now a place of peace and reflection that is undoubtedly a place of dark tourism, but also signals a bright, new chapter in New York’s future.